The project Appreciating the Liturgy was developed during the Summer of 2007 as a response to the felt need for a new way of looking at the post–Vatican II liturgical texts, and was announced at the biennial congress of Societas Liturgica in August 2007 at Palermo, Sicily. The series Liturgiam Aestimare : Appreciating the Liturgy, just one part of the « DREI » publishing project, presents a new methodology for interpreting liturgical texts that combines a clear analysis of the Latin language with the literary-critical methodology used at the Pontifical Institute of Liturgy, Sant’Anselmo, Rome. A further stimulus and encouragement was the Holy Father’s 2006 announcement that the Synod of Bishops to be held in October 2008 would reflect on the Word of God in the Life of the Church. Thus we were reminded that God’s Word calls Christians to a deeper unity, and that this project, being both ecumenical and international, by promoting shared study and reflection, can lead the churches to a deeper unity. 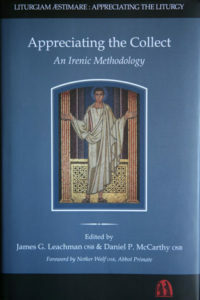 Far from polarizing positions, a detailed and delicate study of the renewed liturgical texts offers the resources for deeper and more irenic study by liturgical scholars. Even as contributions from England, North and South America, Africa and Australia witness to an international consensus, so too contributions from both Roman Catholic and other ecclesial perspectives ensure that this gift is offered to the broader church. 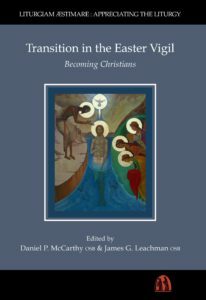 It is intended that the series will comprise both monographs and edited collections, with appeal both to an academic community, and more broadly to all those who are engaged in liturgical study, research and teaching. The series is promoted by the research project Appreciating the Liturgy in the spirit of its commitment to the renewal of the intellectual and liturgical apostolate of the Catholic Church. Research libraries and seminaries will have an invaluable tool, and bishops will find in this series the resources needed to fulfil their ministry of directing the future course of liturgical renewal.